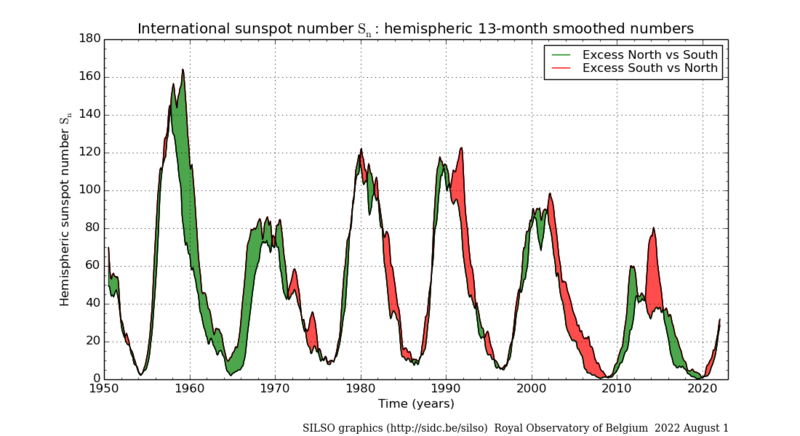 The North and South components of the monthly smoothed sunspot number for the last five cycles (13-month smoothed monthly values). Green fill color when the North number is higher than the South number, and red color when South is higher than North. The plot is based on data from the Uccle station (Royal Observatory of Belgium) up to 1991 and from the WDC-Sunspot Number network since January 1992.